Please join us on facebook for MANY clicks & activities for this theme. complete and ready to serve in about 4 hours. Get the mixer out and bake up dessert for today and another to freeze for another fun-filled celebration day. Finish by cleaning up the kitchen and setting the table. Paper Mache- get an old shower curtain or plastic table cloth out and mix up a batch of good, old fashioned flour and water soup to dip strips of newspaper & recycling! See if you can make animals… it might turn out more like cloud shapes if you don’t have balloons to work with. Use what you have! Tissue boxes, tubes, balled up paper, etc! Get creative- get the largest piece of paper in the house or tape a few together and draw a family portrait. You can be silly and draw each family member as an aquatic creature in a big aquarium (Think Finding Nemo) or have each person as an animal on a farm. -Everyone get a sheet of paper and draw the family on vacation… keep the suggestions for the next few family trips! -If you really need to turn on the tube, then get out some family video footage starting with wedding or baby flics! -Sit around a table and take turns adding one paragraph per person to a story. Have one scribe copy every word (don't change anything! 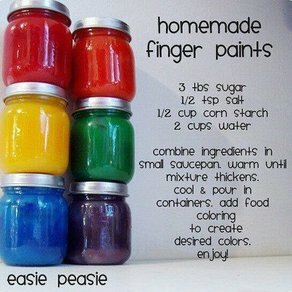 )… you can even make it into a play and all or some can act it out and create a new family rainy day flic! 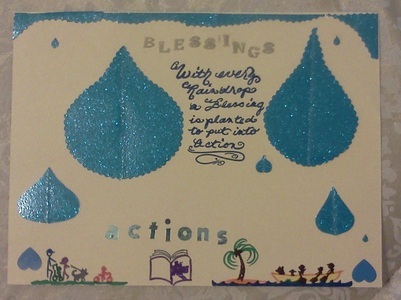 With every raindrop, a Blessing is planted to put into Action! The activity is to imagine that every single raindrop is so very important & unique with no two exactly the same shape or size. What do you do to prepare for severe weather? Knowledge is POWER! Help educate all family members about the forces and beauty of nature. Ever wondered how tornadoes form o...r how the Hurricane Hunters fly into the eye of the storm? Do you think kids have pondered these questions, too?! Well, The Weather Classroom helps you guide your students on their quests for these answers. Following their lines of inquiry and their curiosity usually leads to more questions! Severe weather affects every part of the world all year long, and the goal of our program is to teach people how to prepare for severe weather such as hurricanes, tornadoes, floods, lightning, extreme heat, and severe winter weather. The Weather Channel staff of expert meteorologists and educators have worked together to develop this collection of weather safety and preparedness materials. educational entertainment and fun games to pass the time & prepare. Family Focus Something for all ages & interests! Thursday, August 30 at 6:30pm at Relative Change Counseling. 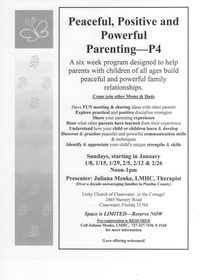 P4 Training -Positive, Peaceful, Powerful Parenting. ALL Donations welcome, noone turned away! The little cottage at the West end of the parking lot. Due to the nature and open atmosphere adults only please. Call for the upcoming class times! Hoping to catch a show....?